In this lesson, you will learn how to play the classic jazz standard Stella By Starlight, written by Viktor Young. Stella is one of the most popular jazz standards played today and one every jazz guitarist should have under his fingers. 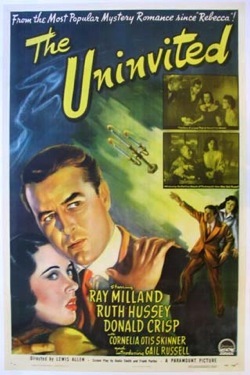 The harmony and melody of Stella By Starlight are derived from the soundtrack of the movie The Uninvited (1944). The song has been recorded by numerous jazz musicians, including Charlie Parker (with strings), Frank Sinatra, Stan Getz, Chet Baker, Miles Davis, Joe Pass, Larry Coryell, Ella Fitzgerald, and many more. Stella is a harmonically complex, but also a versatile standard because it can be played as a ballad, at medium tempos, as well as fast tempos. 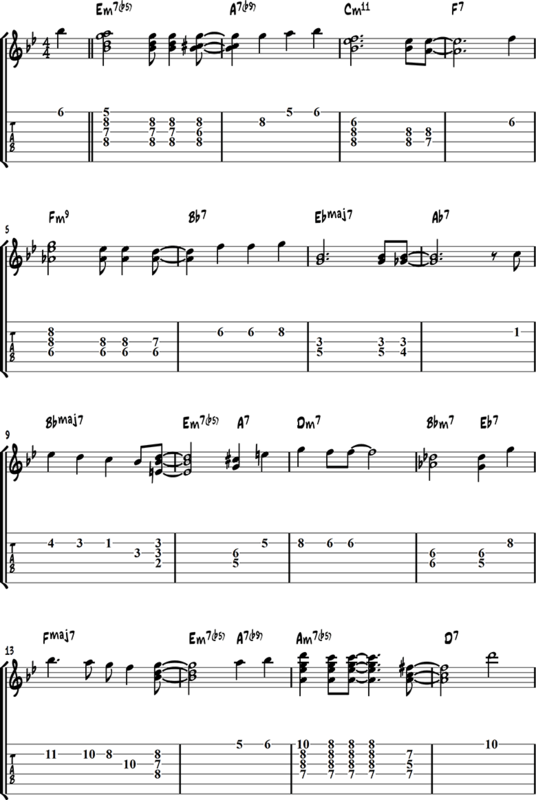 This chord melody arrangement of Stella by Starlight is meant to be played in a typical jazz guitar trio (guitar, drum, and bass). In a jazz trio without piano, there is no one to play the chords but you. Since you are also the one to play the melody, you have to combine playing chords and melody notes. Something to look out for in a chord melody arrangement like this is that the chords don’t get in the way of the melody. 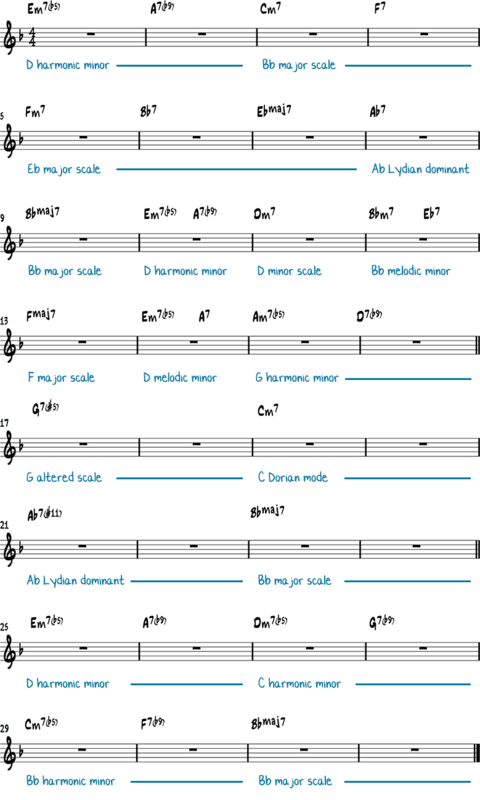 When playing a chord melody arrangement, the melody notes are what’s important, and the chords are there to support the theme rhythmically and harmonically, but they may not overshadow the notes of the theme. Bar 1: I really like the sound of an 11 over and m7b5 chord. You can obtain this sound in your solos by playing a Bbmaj7 or Am7 arpeggio (over Em7b5). Bar 9 and 13: the first note of the melody in these two bars is the 4 of the major chord, the so-called avoid note. Here it functions as a harmonic delay. 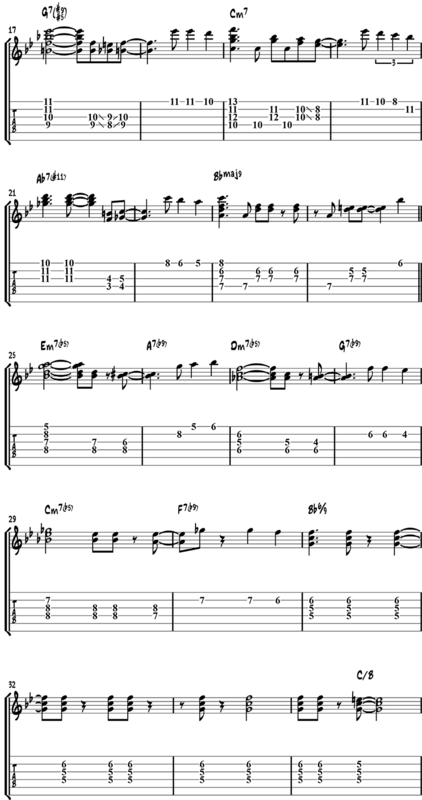 Bar 17: the two-note in-and-out slide here is something Jaco Pastorius frequently used. Bar 21: the Ab7(#11) is a Lydian dominant chord. Bar 24: I play the #11 of Bbmaj7 here. Bar 31: sorry for the end guys, just following Band in a Box. Bar 34: the C triad over Bb is a Bb6/9(#11) chord. The harmony of Stella By Starlight is not very straight-forward because there are a lot of non-diatonic chords and ii V progressions that don’t resolve to the I.
Stella is in the key of Bb major and has 32 bars. The standard has a “vague” AABA structure, but not in the traditional sense such as in a rhythm changes. A better way to describe Stella’s form is ABCA’. Here is a scale analysis of Stella’s “modern” chord changes, as played by Miles Davis on his album My Funny Vallentine: Miles in Concert. Stella by Starlight starts with a minor ii V progression (Em7b5-A7b9) without a resolution to the I (Dm7). There are a lot of these unresolved ii V progressions in Stella. The scale of choice here is D harmonic minor. In bar 3, we would expect a Dm7 chord, but instead, the harmony goes to a Cm7 chord that is part of another ii V that doesn’t resolve, this time in the key of Bb major. This is a backdoor ii-V to Fmaj7 in the next bar. The scale of choice here is the Bb melodic minor scale. Here are Stella’s original chord changes, composed by Viktor Young for the movie The Uninvited. 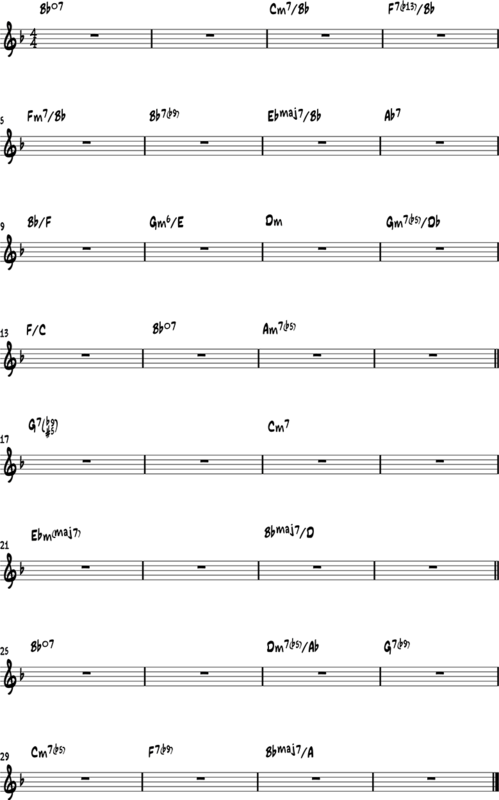 The most important difference between Viktor Young’s changes and the chords played by Bill Evans lies in the first 2 bars. The Bb diminished chord in the first two bars is replaced by Em7b5-A7b9. 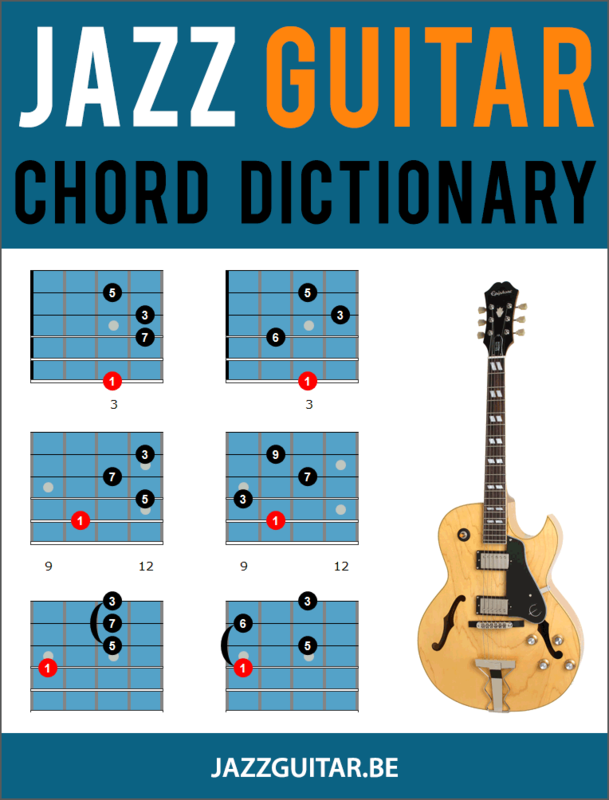 Replacing a diminished chord with a ii V progression was standard practice in the bebop era. As you can see in the scale analysis above, Stella by Starlight is not simple to improvise over. Changing scales every bar is not easy and doesn’t sound very musical, so it’s better to rely on arpeggios or focus on voice leading. A good voice leading makes your improvised solos sound natural and gives you a framework to base your solo on. Here is a voice leading example to get you started. The numbers in blue indicate which chord tones (or tensions) are played. Why is D melodic minor the right scale for the E-7b5 A7b9? Wouldn’t it be G melodic minor ( sixth mode would be the half diminished scale). Do not understand. There seem many ways to deal with the G+7 to Cm7 but the half diminished chords would want a half diminished scale, right? I think that d melodic minor is being used to bring out colors of the A7b9 and not so much the Em7b9.